Supportive Guy is a bright spot in a world of social media negativity. To learn more about him, check his write-up in the Charlotte Observer. In this episode, Supportive Guy asks WCNC’s Diana Rugg to ponder the most supportive sign-off she can come up with. Enjoy, and be uplifted. Supportive Guy is a bright spot in a world of social media negativity. To learn more about him, check his write-up in the Charlotte Observer. This week, Supportive Guy brings in the support from all the way overseas. Supportive Guy is a bright spot in a world of social media negativity. To learn more about him, check his write-up in the Charlotte Observer. 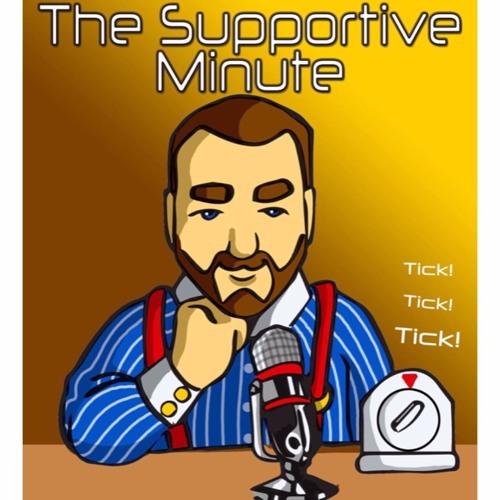 In this episode Supportive Guy talks to Tony Castleberry about talking to comedians. Supportive Guy is a bright spot in a world of social media negativity. To learn more about him, check his write-up in the Charlotte Observer. In this episode, Supportive Guy chats amicably with Michael Felder, College Football analyst for Bleacher Report, excellent twitter follow and good dude. Supportive Guy is a bright spot in a world of social media negativity. To learn more about him, check his write-up in the Charlotte Observer. In today’s episode, he talks to lifelong Cubs fan Richard Averitte about his team finally winning the World Series. Supportive Guy is a bright spot in a world of social media negativity. To learn more about him, check his write-up in the Charlotte Observer. In this episode, Supportive Guy talks to the face mask of Halloween night, Michael Myers.